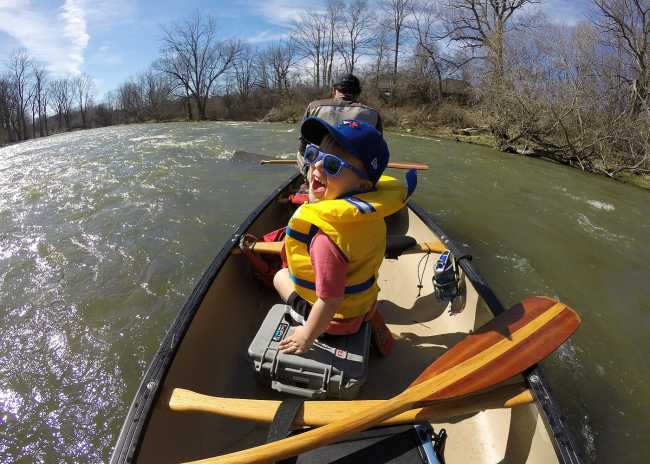 The Thames River has nearly 400 km of waterways navigable by canoe or kayak and the Fanshawe Dam to North London Athletic fields leg of the north branch of this river is a great route for novice to intermediate paddlers. Before you grab your gear, be sure to read up on the full description of all that you&apos;ll experience on the Thames by clicking here. Enter Fanshawe Conservation Area (payment required for entry), cross the Dam, turn left at the gravel road which leads to the parking lot on the north side of the river, just below the dam. This flood control dam is operated by the Upper Thames River Conservation Authority. Typically, they open and close the gates slowly to prevent flash flooding in London. However, prior to, or during times of heavy rainfall, the dam may be opened quickly, which may cause river flow rates to increase or decrease rapidly with little to no warning. Spend a morning or afternoon on this urban route through North East London. This route can take as short as 1 hour to complete, but can be stretched out to 2.5-3 hours if sightseeing, photography or fishing is planned for your paddling adventure. 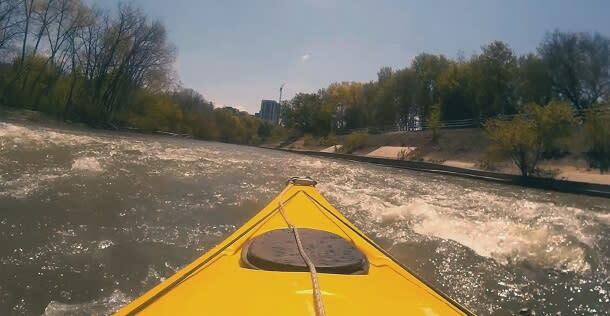 Steep cliffs and many rapids (class 1 and 2) are found between Fanshawe Dam and Highbury Avenue, which produces the highest concentrations of rapids and swifts of any section of the Thames River. During higher flow rates, rapids and swifts become fast and more aggressive, so it is recommended that paddlers get to shore and scout rapids prior to running and paddlers must have a sharp eye for rocks, trees and logs. Paddlers that wish to bypass rapids, a foot path on the left side (AKA south side) of the river can be used to portage around rapids. Between Highbury Avenue and Adelaide Street pools of calmer water, separated by small swifts, flow between two urban woodland parks of Kilally Meadows Environmental Significant Area on the right and Kilally Valley Park on the left. These large urban woodland parks give this urban paddling route a very secluded feel. Park your vehicle at the City of London operated, free use parking lot that services the left side (AKA south side) of the river, just off Adelaide Street North. Getting out of your canoe or kayak is relatively easy, as the river banks are low, with only thin vegetation to walk through. Seasonal restrooms, outdoor showers and drinking water fountains can be found at the main service building in the middle of the park. 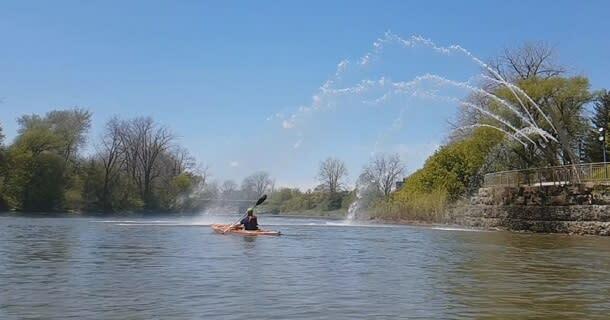 Head out and start paddling. Be sure to check the Kilworth to Dorchester and Ingersoll to Putnam routes along the Thames too.